You are here: Immigration Vietnam Visa > Blog > Eat, play, watch > Three most favored street vendors that you cannot miss in Hanoi. Sometimes, you might get tired of highly-cost dishes at luxurious restaurants and hotels and want to try out something new. I also believe that the traveling would be funnier to try out traditional and typical taste of the place other than just staying closed and modern. 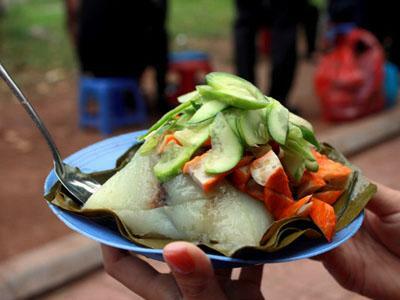 A suggestion given is to go to street vendors to try street tastes that are loved by Vietnamese young people. These street vendors, however, mostly has no English lists or even no menu, so it’s better if non-native goes with someone who knows Vietnamese. Another limit is that you might have to sit outside not in big restaurants like other; but besides all of that, these are really something to try! So, if you’re going to find out what’s happening on Hanoi’s streets, these are some advices for you. 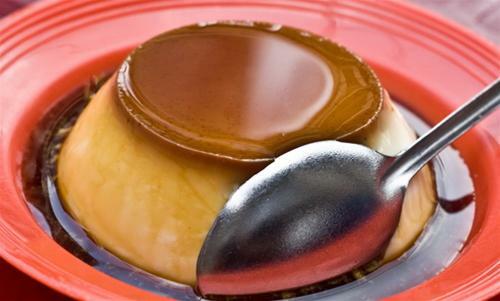 You might be familiar with home-made caramel pudding which is loved by its greasy taste made from eggs and milk, but you might be surprised and impressed by the special taste of Caramel from Hang Than Street. It is made to be sweet and cool just enough for customers to feel the delicious caramel dish and want to eat more! Just recently been discovered and made not long ago, Sua chua mit has been increasingly popular among youngsters. 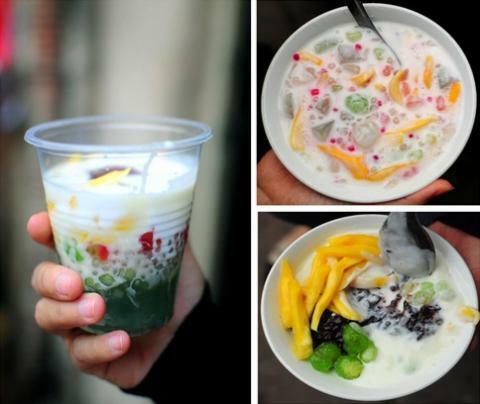 The sweet and greasy taste of jack-fruit mixed with the cool and sour of yogurt has made this one of the most favored street vendors in Hanoi. 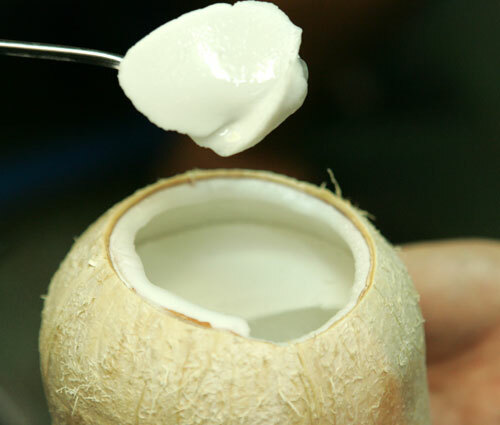 The shopkeepers at Ba Trieu Street can proudly say that this is made by their own ideas and tastes. Customers who go to the shop is impressed not only by the delicious flavor but also by the service provided by the young shopkeepers, waiters and waitress. This is also a place that you are recommended to come if you visit Hanoi. Banh gio (Pyramidal rice dumpling) is one of many traditional flavors that are loved by Vietnamese people since a long time ago. The hot rice dumpling, filled with meat, onion and mushroom inside, makes people warmer in the cold winter days. Nowadays, Banh gio is complemented by other things like xuc xich (sausages), nem chua ran (fried pork rolls) or cha lua (pork bologna). These Banh gio are presented in many Banh gio vendors, but there are some places that are really famous to young Hanoians such as ones on Dong Cac Street, Luong Dinh Cua Street, Thuy Khue Street and Nguyen Cong Tru Street. The Banh gio on Doc Cac Street is also famous for its special sauce, which is a little bit hot from chillies, sweet from sugar and other tastes made by other secret ingredients that made it so attractive. Next post: How to apply for work permit in Vietnam?